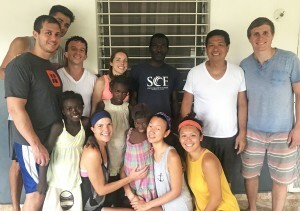 It Takes A Village – Elisha C.
Well, I can definitely say, it takes the collective efforts of each of you around the world to raise up our children in Fond Doux, Haiti. Because of all of you, we were not only able to take care of the full second payment of the scholarship fund, but also take more children into our scholarship program this trip! One evening last December, I took notice of a widowed father of six and felt a deep compassion for him. 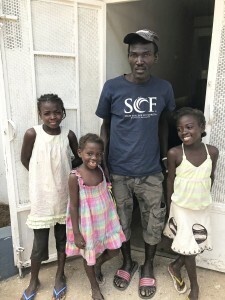 For a few evenings, he brought his three youngest daughters to come play with us and hopefully catch us on a snack night, where we make food to feed everyone in the house (most nights, over 100 people!). And the father will just sit there, watch his girls have fun and bring them home when they are done playing. Most of the time, he had much grief on his face. But once in awhile, you will see a glimpse of joy when he sees his daughters having the time of their lives with us! The father and his three little girls came every night this trip. Our team loved on the girls and the girls loved on us. They all have such beautiful and contagious smiles (as you can in the photos). One day, we decided to shower this family with “new” used-clothes, shoes, and a whole suitcase full of food for them to bring home. They were so touched. No one has ever showered them with such generosity before. On that day, we learned that he had suddenly lost his wife exactly one year, one month and 14 days ago. He has no money to pay for his daughters’ schools (3rd grade, 1st grade, and preschool) and by Tuesday, they will be kicked out. Tears were streaming down his face and he wiped it away with his old hat. What I’ve learned throughout these Haiti trips is that the feeling of compassion is a way that God shows up in us. He uses compassion to help us recognized where Jesus is and what Jesus wants to do. And He will make a way where there is no way. 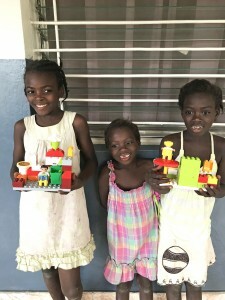 Since they were already more than halfway through their school year, it was only going to cost $150 to keep all three girls in school. How could I say no? That is such a small amount compared to the incredible opportunity to invest in all three lives and give this family hope. I committed to adding his three girls into our scholarship program not knowing where the money was going to come from. By the end of our trip, a UCLA student and first-timer to Haiti asked me how she could be a scholarship sponsor. Little did she know, there were three girls that truly needed this miracle. It truly takes a village to raise a child. 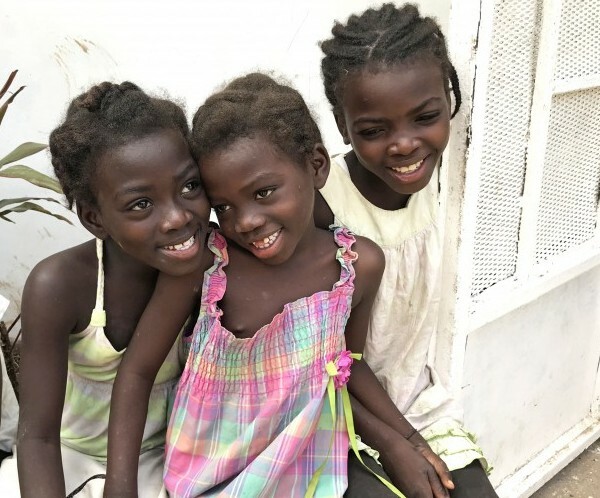 But for our village, Fond Doux, it has taken every single one of us all around the world to be their miracle and give them these basic opportunities, such as education, to help them break their cycle of poverty. This was my 26th trip to Haiti. And it finally hit me. The mission I had in my heart from the beginning, putting “Haiti in the hands of Haitians” is actually happening. In a country that’s been called “the republic of NGOs” because of their great dependence on foreign aid, I am seeing a new generation of youth rising up in our village. These are students we have been investing in who are now looking for ways to help their community and start their own business to employ others in need. They are developing a heart to create opportunities for each other and to grow together. 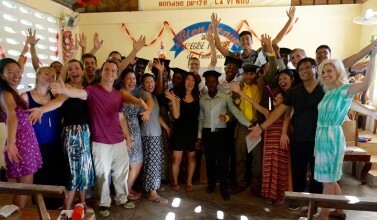 The future of Haiti is in the hands of these young people and it is looking bright! And, I’m feeling like a proud mama.